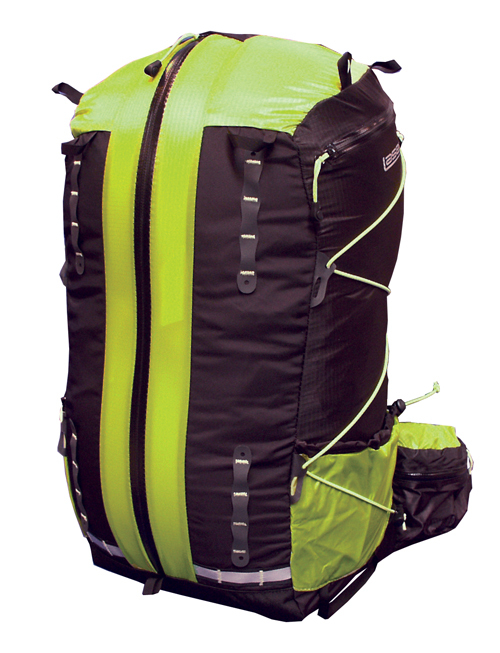 Recently I received a Terra Nova Laser 35L Pack from Sport-Hansa.com. I was excited to get this pack because this size pack will fit the bill for my use on those summer overnight & weekend trips. I have a 25L REI Trail pack that I have used in the past as a very minimalist overnight pack, so this little extra size should be perfect for weekend use! I haven’t gotten to take the pack out yet but I am looking forward to it. I have not used a panel loader pack yet but this one looks to be very promising, and may change my mind about this style of packs. I was happy to see that there are also hip belt pockets on both sides so this is a big plus for me. It also has a removable foam pad that is used in the back panel to provide some padding and a little structure to the pack, so this is nice since it will also function as a sit pad while at camp. There are, however, a few things that I will be sure to pay attention to when using this pack though. The first is durability. The material is a very thin PU coated ripstop nylon and while there are a few areas that use a heavier material, I wonder how the pack will hold up as a whole. Also, the 2 side pockets are quite small. I can just squeeze a Nalgene bottle in the pocket when the pack is packed, but I’m not sure it will stay there. It would have been nice if Terra Nova would have bellowed these pockets just a little to allow a water bottle (or other items) to fit more securely. Disclaimer: I received this complementary Terra Nova laser 35L Backpack from Sport-Hansa.com in exchange for a review.